Below is a comprehensive cross-reference table of Milnec connector part numbers and their mil-spec counterparts, along with outdated UEC conncetor part numbers. Click on any part number for more information or click Check Inventory to receive real-time stock information or a quote from our authorized distributor. 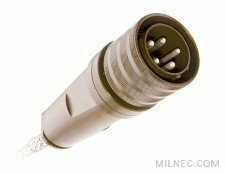 For additional help in specifying a Mil-22992 type connector solution, please contact a Milnec sales professional, or your authorized distributor for technical and sales support.